Today we went on a lovely trip with Caz and Alistair to see the crazy Falkirk Wheel. 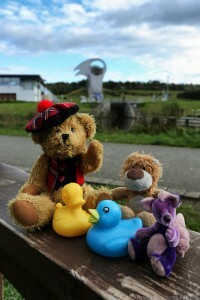 We also met a new friend there, Falkirk the bear, who Caz took a shine to and insisted we brought home with us. 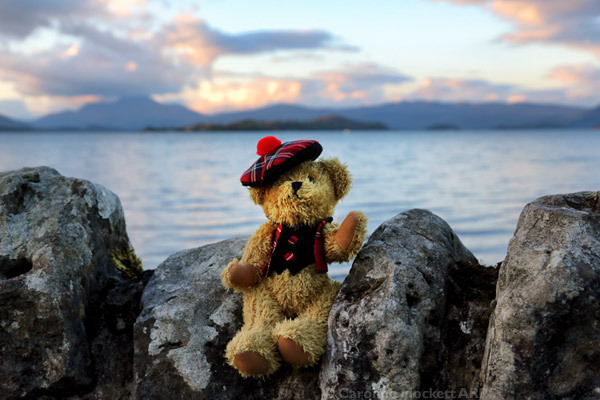 He also enjoyed a quick look at Loch Lomond on the way home, but that’s because he was all dressed up warm in his smart matching tartan waistcoat and Tam O’Shanter! 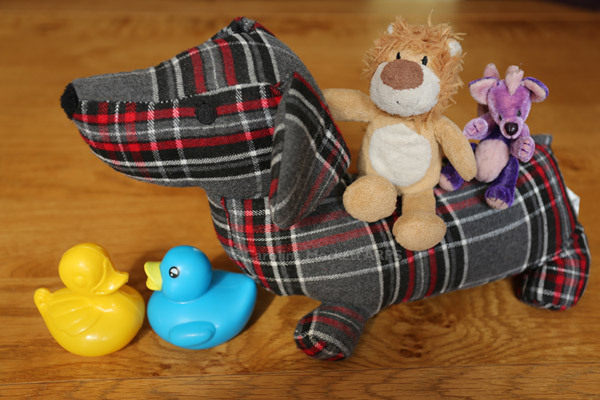 This is Humphrey, a lovely tartan Saussie Dog who lives in the cottage where we are staying near Glasgow. 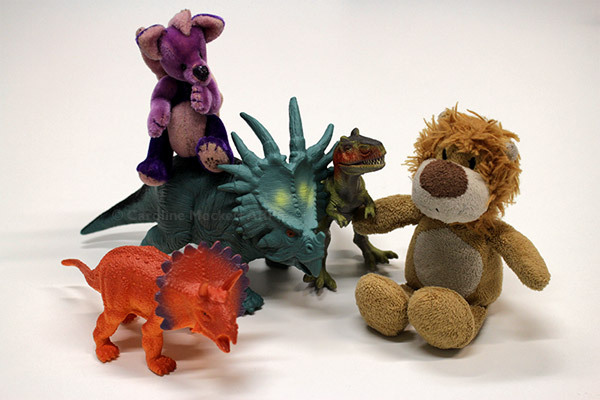 He gave me and Leo a piggyback for ages, we had such fun. 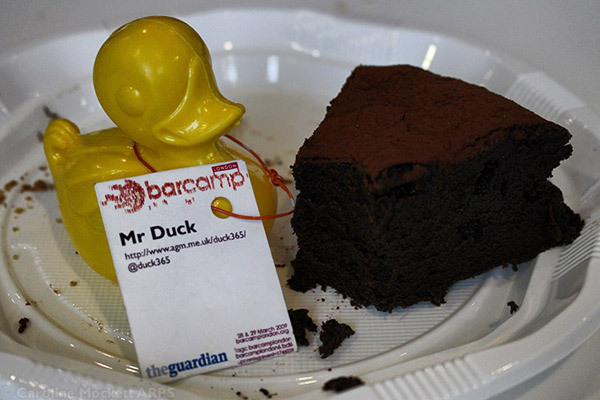 And Mr Duck met a new friend called Art, too! 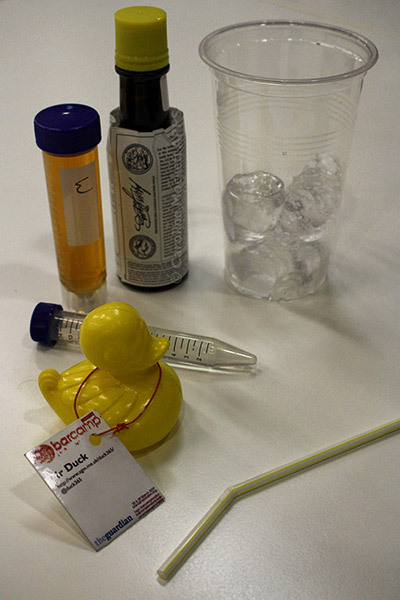 A few days ago I found Apollo the duck in a geocache. 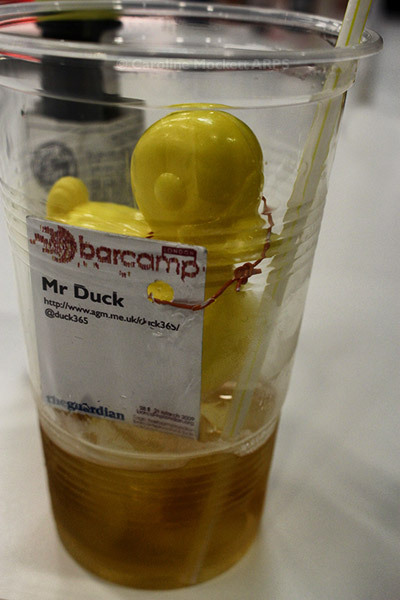 He said he had heard of the legendary Mr Duck and would love to meet him. 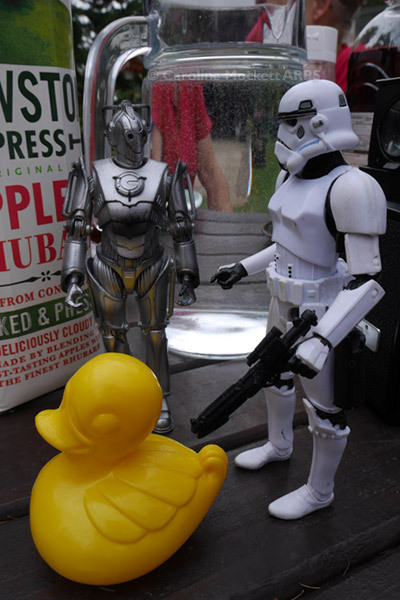 Well since Mr Duck is a good friend of Alistair, and we were going to meet them both at Leeds Hack this weekend, I agreed to take Apollo along to meet his idol. 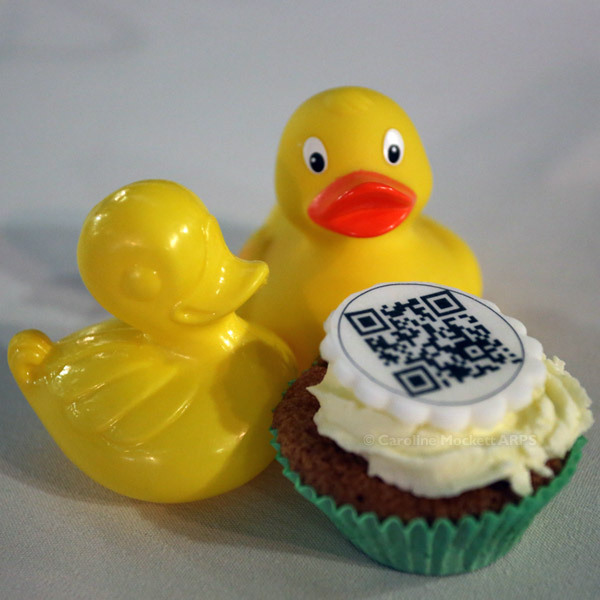 He was over the moon when Mr Duck agreed to share his QR Code cupcake with him!